Professional precision-edge maintenance for your razor, clipper and knives, this is the traditional Japanese method for shaping and finishing blades to razor-sharp edges. The 500 grit is for rough-grinding, to return edges to their original shape. 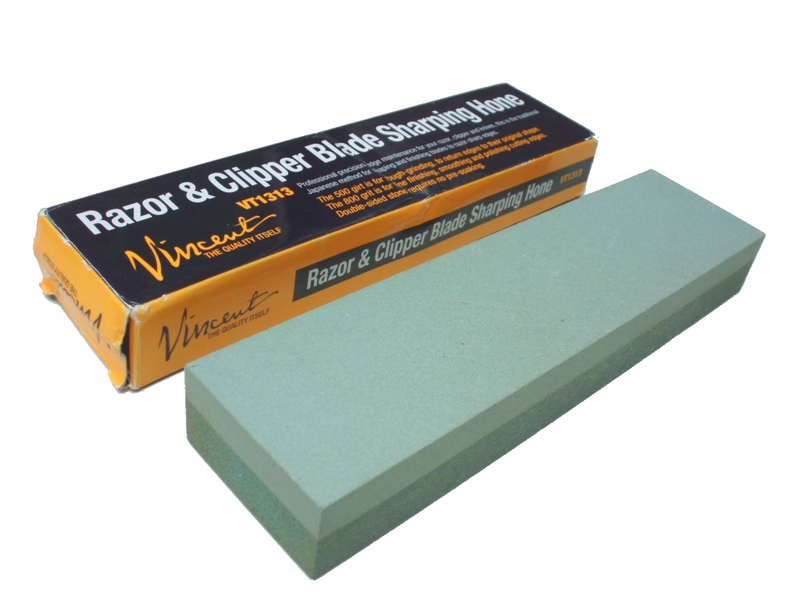 The 800 grit is for fine finishing, smoothing and polishing cutting edges. Double-sided stone requires no pre-soaking. These softer stones have several advantages over harder stones, because they are softer, they do not become glazed or loaded with detritus, plus, they are lubricated effectively with water rather than oil, which can ruin the stone. In addition, with these stones the worn material and the water from slurry, which in conjunction with the stone, sharpens and polishes the blade.